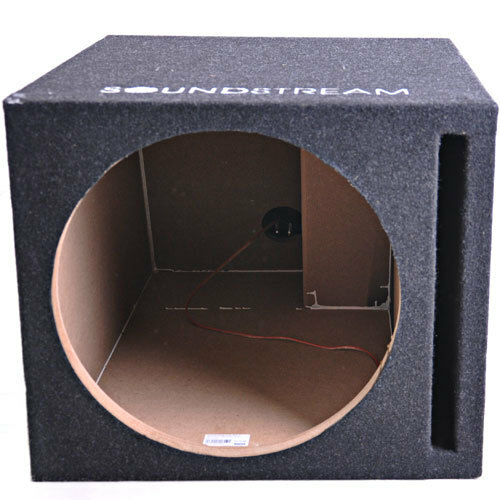 I bought 2 10" Lanser sub-woofers and for the recommended ported enclosure it says the port size should be 2 x 9.5" port, 21.25" long. I have no idea what this means. To me it says I need 2 ports 9.5" in diameter 21.25" long and I know that can not be correct. So what does it mean? Sounds like a slot port 2"x9.5" opening by 21.25" vent length. What do you mean a slot port? 2 ports? 2 ports at 9.5" instead on 1 port at 21.25"? That's the only thing I could imagine it meaning. I got another question. Which is a better set up using my sub woofers for an example. With 2 10" Lanzer sub woofers rated at peak watts 1200 each would it be better to get a 2400 watt mono channel class D amplifier or 2 1200 watt mono channel class D amplifiers or get a bridgeable 2 channel 2400 watt amplifier? Slot port. The name is pretty descriptive. Here, let me Google it for you. The slot port is the rectangular opening on the right side of the box. Oh...I had no idea that you could port a box like that. Never seen or heard of it before. Thanks. You can actually multiply any 2 measurements that come up with 19. The port is 19 square inches of area. This way you can do a square port or a rectangle port. Length stays the same.